My holistic approach to teaching and learning allows me to make a difference. I read Chemistry BSc(Hons) at the University of Essex in 1991. After graduation I secured a post in industry and was employed at Shell plc as a Research Scientist as a member of a team where I worked on a project to improve the efficiency of fuels. My second post was at Zeneca (ICI) as an Analytical Chemist using advanced techniques to test agrochemicals. In 1994 I successfully completed my PGCE in Secondary Science Teaching at King’s College London. My first teaching appointment was to teach Science to A level Chemistry in the Borough of Gravesham. After having my children I was offered a job at an independent school and I retrained as a primary school teacher. At my time in the school, I was an outstanding classroom practitioner and took on many leadership roles, one of which was to lead the Pre-Prep section of the school for 5 years. One of my proudest moments at the school was achieving an outstanding judgement in every area during ISI inspection in 2014. My skills as an experienced teacher were utilised to support and develop other teachers to become outstanding practitioners. My teaching and leadership experience in both primary and secondary levels has given me a deep insight into how children learn and how we need to help them. Using innovative teaching strategies I was able to help children become effective learners and achieve excellent outcomes. 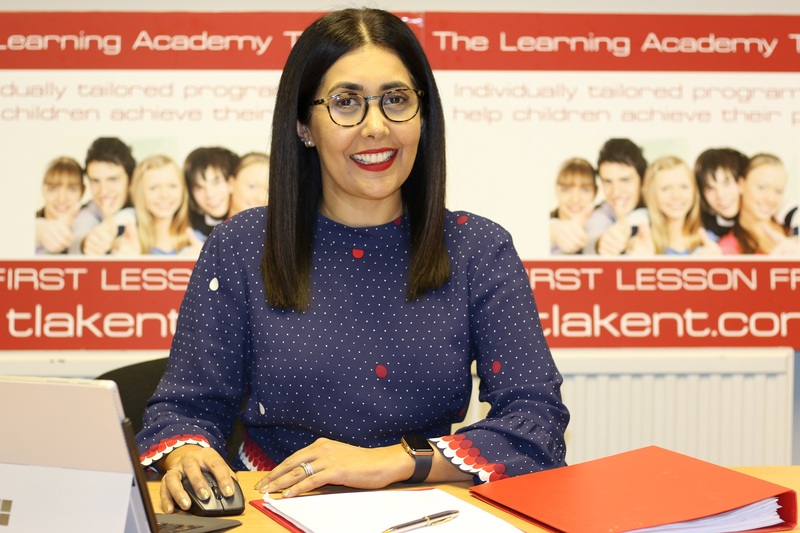 It was my desire to help children and make a difference that led me into the private tuition industry where I can channel my passion into teaching and helping children achieve. As a mother of two girls I have the experience to understand the challenges children encounter when on their educational journey through primary and secondary schools. I supported both my girls through their schooling and one of them scored 100% in all areas of the Kent Test and secured a place at a super selective grammar school. Parenting is a highly rewarding vocation particularly when you are helping your child make progress academically and personally. My relentless pursuit of excellence is always at the forefront of everything I do. I have very high expectations of the children I teach. Each decision that I make ensures that the welfare and progression of every child is always of paramount importance. As a mother and as an outstanding teacher I have made a positive impact on numerous children’s holistic development which encompasses educational progress and personal advancement.